Home Products Mailing & Shipping Specialty Mailing & Shipping Tapes Duck® Brand Heavy Duty Strapping Tape with Dispenser - White, 1.88 in. x 30 yd. 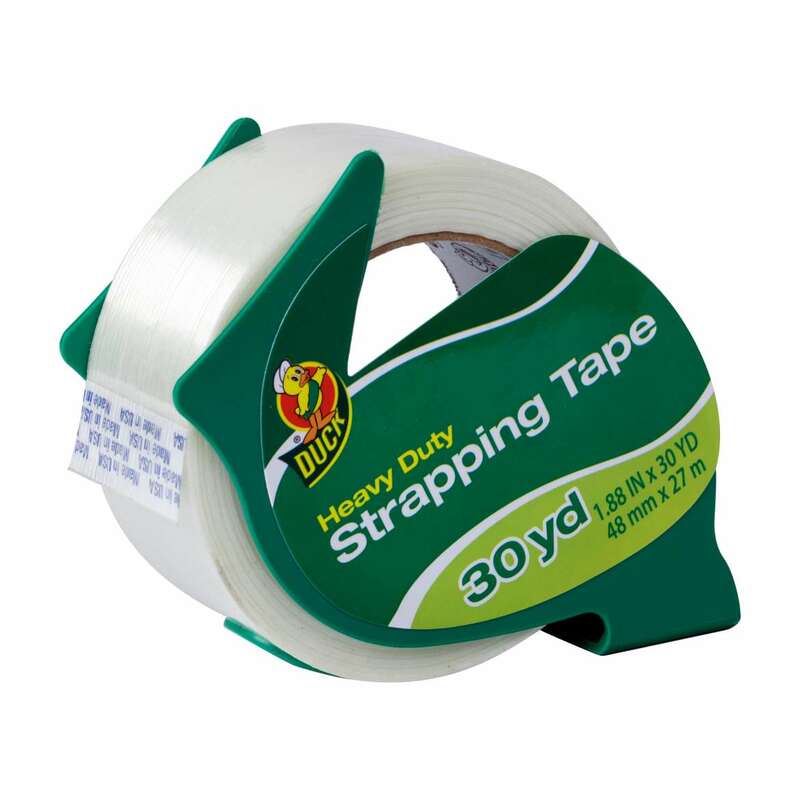 Duck® Brand Heavy Duty Strapping Tape with Dispenser - White, 1.88 in. x 30 yd. 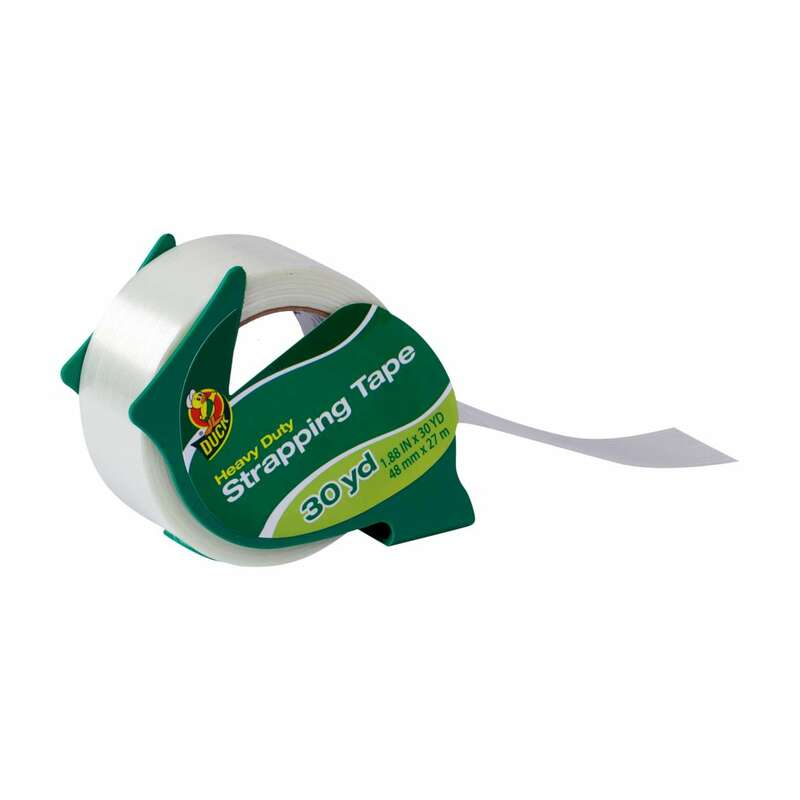 When you’re looking to strap, package, bundle or seal your things, our Duck® Brand Heavy Duty Strapping Tape with dispenser is tough enough to withstand the splitting and tearing commonly seen with other less hefty tapes. 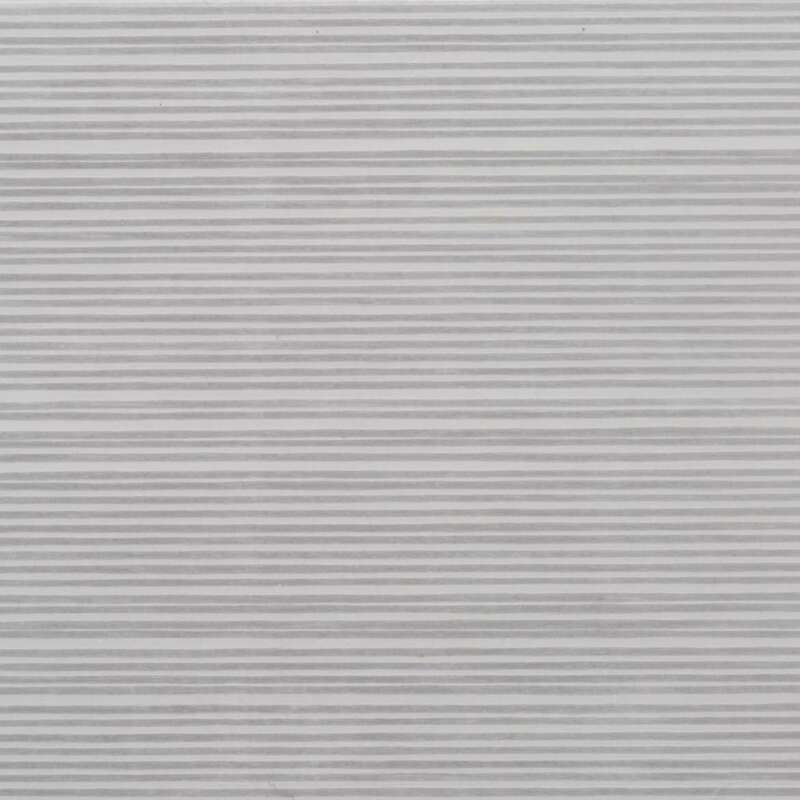 This extremely strong tape gets its muscle from its fiberglass material that's equipped to stand up to extreme shipping applications like large and heavy boxes. It’s the go-to tape for offices, corporate settings and professional movers because it stands up to some of the most challenging situations.